Vacation from home with your 5-bedroom, 3.5 bath home on 5.49 acres and nestled near a 22-acre forest â€“ complete serenity! You will be amazed from the moment you access the 1/4-mile private drive that leads to your very own quiet oasis. A charming covered front porch gives way to a lovely floor plan featuring hardwood floors that extend throughout the main floor. The 2-story foyer greets guests and opens a formal living room with a wall of windows overlooking your peaceful front yard. Large doorways highlight the open plan showcasing a formal dining room, a family room with stone fireplace and door to the back deck, designated office/playroom with built-in bookshelves, large laundry room with counter space, and a half bath. The spacious kitchen is a chefâ€™s dream boasting newer appliances and plenty of cabinet and counter space. Off the living room is a large screened porch perfect for morning coffee overlooking the backgrounds and includes hookups for TV/Cable. The large master suite features a private master bath, a guest suite with private bath and 3 additional bedrooms serviced the third full bath. The full basement would make a great rec room. Step out onto the back deck overlooking your heated in-ground pool measuring 16â€™x40â€™ and fenced! Additionally, you will appreciate the professional landscaping, whole house generator, circular driveway, 2-car, oversized garage with work area, exterior Certainteed Cedar Impressions siding (5 years old), 5-year-old roof, 2-year-old A/Câ€™s, security system, well water, and ability to build a barn. The Genarac generator turns on automatically in case of bad weather. 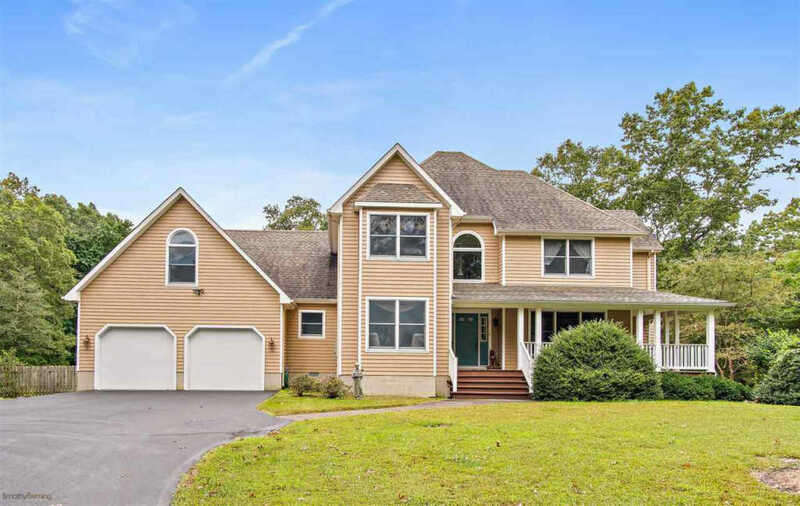 3,400 square feet of home with complete privacy but just minutes to the beaches of Sea Isle and Ocean City â€“ what a deal!